When choosing new springs for your system, it helps to understand the major role that your overhead door springs play. They are loaded with a force that corresponds to the weight of the door. Although they're made to be tough and resistant, they do have a fixed cycle life and will likely wear down over time. Naturally, you'll want to ensure the components you select are strong, reliable and durable. We explain more about the choice available below. Extension springs are installed on the sides of the door typically above the horizontal tracks. There is one on each side and they function together to operate the system by using special pulleys for the purpose. They contract and expand as the door opens and closes respectively. These types are generally preferred for lighter overhead doors. At present, torsion coil trampoline springs are fairly widely used. This is mainly due to the fact that they tend to be more reliable when it comes to balance. Besides, maintaining them requires less time and effort. In this category, you will find a range of options to consider. Galvanized torsion springs are made from galvanized steel. This alloy comes with a protective zinc coating, making the component resistant to rust and consequently considerably strong and durable. Oil tempered torsion springs, do not have come with a special protective coating but the wire which they are made from will have been dipped into hot oil before twisting. As a result, oil tempered components can withstand greater loads and extensive use. They are suitable for heavier doors and for ones which are used extensively. 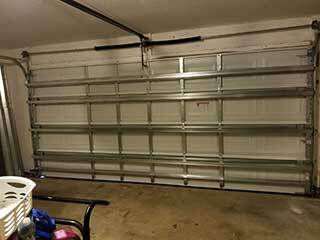 If you have a double garage or plan to obtain a wooden door, this type of spring may be a great fit. Just keep in mind that it may leave black residue on the garage door panels, meaning they may require more frequent cleaning. Want to learn more about the springs available to you? Just contact our team at Garage Door Repair Fremont!